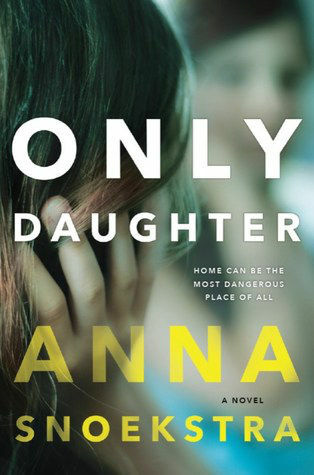 I wasn’t surprised to read that Anna Snoekstra’s debut novel ONLY DAUGHTER has already been picked up by Hollywood. To me it read more like a movie script than a novel and whether you think that is a compliment or not will probably determine whether or not you’ll want to read it. For me it was quick and readable but never really delivered on its intriguing premise. A young woman is caught shoplifting. To avoid being fingerprinted – when the truth about her past would come to light – she tells police she is Rebecca Winter. She’d seen a TV show about Winter a few months earlier: a teenage girl who had disappeared from her Canberra suburb a decade earlier. The young woman looked uncannily like Bec. At least enough like her to pretend for a few hours until she can escape police clutches. Only she doesn’t escape. Instead she goes home with Bec’s family. Because she really misses having a family. We never learn the young woman’s real name so I’ll call her Pretend Bec. About half of the book is told from her perspective in 2014 in the days after she is ‘found’. Her parents, twin brothers and best friend all seem to accept that she is really Bec. Anything she doesn’t know she either fakes or pretends not to remember. Pretend Bec is enjoying having a family, especially a mother who looks after her. We don’t learn much about whatever it is that Pretend Bec is running away from but we do know her real mother has not been in the picture for some time. The other half of the book is real Bec’s story unfolding in 2003 in the days leading up to her disappearance. She is a fairly typical teenage girl with a best friend, a crush on an older boy at work and a couple of secrets that could lead to an unpleasant demise. Snoekstra pulls off this narrative structure well and the two threads are easy to keep track of while offering a good way to build up tension. The rest of the book was less successful for me. This is mostly because I never really bought the situation I was meant to suspend my disbelief for. I could accept that the people who knew Bec would accept her reappearance – at least for a while – because the power of wanting such a thing must be fierce. But the way officialdom handled the event never rang true. For example the act Pretend Bec used to get out of providing DNA (which would have immediately proven her a liar) is completely implausible, as is the broader way police (represented by a lone detective) are portrayed as handling the reappearance. Snoekstra had already given herself a tougher than normal job of maintaining suspense by showing readers that Pretend Bec wasn’t the real missing girl; adding a laughably incompetent police and a strangely standoffish media presence just made it all the more difficult. Not to mention a complete lack of social media which for events taking place in 2014 just added to the lack of credibility for me. The other element that didn’t really work for me were the characters. Real Bec was decently drawn and her teenage friendship with Lizzie has a genuine feel to it. But there are limits to my interest in the inner life of 16-year old girls. Especially ones interested in clothes, makeup, shoplifting and an older boy who turns out not to be prince charming. Yawn. Pretend Bec just annoyed me. Partially because I am not the world’s biggest fan of unreliable narrators but mostly because her inner life was even less interesting than Real Bec’s and I never got to the point where I cared much if she got found out or would meet the same fate as her doppelganger. 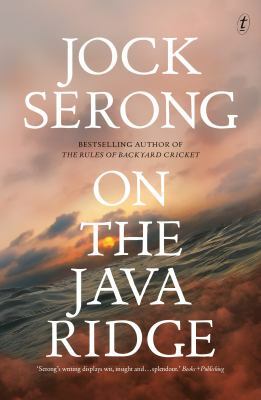 The rest of the characters are pretty one-dimensional and I cannot possibly be the only reader who saw the end coming – including who’d done what – from a mile away. The red herrings – such as they were – felt way too forced and the culprit too obvious. As always, other opinions are available and I can imagine that if you are not a nearly-50 grump then you might get more from this novel than I did. 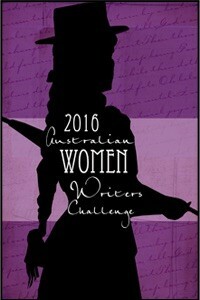 This is book 16.5 that I’ve read and reviewed for the fifth Australian Women Writers Challenge (one book was written by a father daughter team so I’m only counting it as a half). For more information about the challenge check out my challenge progress, sign up yourself or browse the Challenge’s database of reviews. When Cliff Hardy signs on as a bodyguard for charismatic populist Rory O’Hara, who is about to embark on a campaign of social and political renewal, it looks like a tricky job – O’Hara has enemies. A murder and a kidnapping soon cause the campaign to fall apart. In Rory O’Hara’s quest to launch a new Australian political party, Australian readers will recognise references to Clive Palmer’s recent, and more successful, bid for Parliament. But someone doesn’t want Rory O’Hara to succeed, and after he is injured when he is run down in the street, Cliff Hardy is employed by a backer to join the campaign and seemingly to protect Rory. Then things get really serious, and not even Cliff Hardy can prevent a murder. So, a few thousand kilometers later, Cliff Hardy closes in on his quarry. The original financial backer of Rory’s tour has dropped out, but new money from a surprising source has employed Cliff to track down a killer. And it seems Cliff is not the only one on the trail. He will probably be doing someone else a favour. I haven’t read all the Cliff Hardy series, but I am sure fans will be glad to see that Peter Corris is still hard at work. A sticky scandal. A political jam. THE MARMALADE FILES will be the most-talked about political satirical thriller of 2012! deadly corridors of power where the minority Toohey Government hangs by a thread – its stricken Foreign Minister on life support, her heart maintained by a single thought. Revenge. Rabid Rottweilers prowl in the guise of Opposition senators, union thugs wage class warfare, TV anchors simper and fawn … and loyalty and decency have long since given way to compromise and treachery. 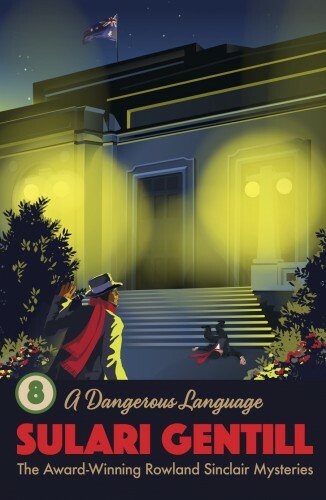 From the teahouses of Beijing to the beaches of Bali, from the marbled halls of Washington to the basements of the bureaucracy, Dunkley′s quest takes him ever closer to the truth – and ever deeper into a lethal political game. Award-winning journalists Steve Lewis of News Ltd and Chris Uhlmann from the ABC combine forces in this arresting novel that proves fiction is stranger than fact. Each of the shortish chapters in this novel is headed with a date, starting with June 16 2011, but the reader soon discovers these chapters are not sequential although there is a logic to them. Eventually this sent me to pen and paper to try to make sure I understood the time line. We begin with Harry Dunkley, press gallery veteran in the National Parliament in Canberra being given a photo that is about 30 years old. He quickly identifies the Cabinet minister who is centre stage but who are the others? Later on the same day Catriona Bailey, once Labour Prime Minister, but now the Foreign Minister, has a very public stroke on national television. So Labour’s Toohey government, already an unpopular minority government hanging on by a thread, and predicted to lose the next election, begins a downward spiral. Can things get any worse? THE MARMALADE FILES is political satire rather than strictly crime fiction, although crimes, including a murder, are committed. There’s a quirky humour from beginning to end, and certainly connections to current Australian politics, even if events have been warped and names changed. For me, a fascinating read from beginning to end, although the ending strained my sense of credibility. I’m not sure that THE MARMALADE FILES will have much appeal outside Australia but in case you do want to look for it, try Amazon (Kindle) or the publisher. #2 in the Brad Chen series. Why would anyone want to murder an aging Australian ex-politician and his editor? And where was the manuscript they had been working on? Alec Dennett had been a minister in the Whitlam government in the 1970s, and his autobiography had promised to reveal secrets that some people would rather see remain hidden. But surely no one would think they were important enough to kill for? Detective Inspector Brad Chen of the Australian Federal Police has been on compassionate leave, hiding away at the university in Canberra doing a doctorate in politics. But its time to return to work, and really this sort of investigation, laced with political overtones, is just his sort of work. And there’s definitely somebody who doesn’t want the truth to come out. Before the end of the first day he has been beaten and threatened, so he’s obviously on the right track. This political crime fiction won’t be everybody’s cup of tea. It isn’t that you need to know much about the Whitlam era, Robertson fills you in on all the details, but there’s more to the story than just a whodunnit, so an interest in politics helps. I suspect too the fact that it is Australian politics we are focussed on will also limit its audience appeal. The blurb on the back of the novel refers to intricate plotting, witty dialogue and eccentric character, and it is right on all three counts. I liked SMOKE & MIRRORS a little more than I did #1 in the series DEAD SET (see below). I don’t think you have to worry about reading DEAD SET before SMOKE & MIRRORS although perhaps it might help to read them in quick succession, rather than 3 years apart like I have. The Hon. Tracey Dale, Australia’s Minister for Immigration (ALP) has been murdered in her Canberra apartment. She was the author of Australia’s current immigration policy: the Compassionate Australia Program, which has recently resulted in significant increase in Australia’s refugee intake. Some believe her death is the work of terrorists, or at the very least racists. Federal Australian Police Detective Inspector Brad Chen is returning from sick leave of 3 months, and this is his first case back. Some would see him as a man with many handicaps: still on crutches after being knocked down by a car, an Australian-Chinese with Chinese appearance but unmistakeable Australian accent, addicted to pain killers of the worst sort, and named after a cricketer. DEAD SET is almost a political thriller as much as a murder mystery. Set in Canberra and Melbourne. As Chen’s investigation proceeds, the list of suspects grows, and others die. Tracey Dale ignored a time bomb, something that spelled political ruin for her. A debut novel for Kel Robertson.